We’re preggo! Wait…with how many? | Half Heart. Whole Life. We’re preggo! Wait…with how many? My wife and I wanted 2 kids, max. We already had one, Hudson, who was 2 years old when Bekah’s home pregnancy test had the lovely plus sign. June 5th was the day after her birthday and she had an appointment with her doc. Since I started a new job, I didn’t think I’d get the time off to go, not to mention that I had to be at a Leadership Retreat that particular day. I do have to preface this story by saying that I don’t do well during the pregnancy experience: I freak out and get really nervous when it comes to doctors appointments. You hear all the time about bad news and I just didn’t know what I’d do if I got bad news at any of these appointments. So you can imagine my terror when my wife texted me in the middle of one of my meetings and it simply said “Call me.” I excused myself and nervously dialed her number. She answered with a fairly happy tone: “Hey babe!” And then…I knew. I KNEW. TWINS. It had to be. And then she confirmed it…twins. And then my mind went NUTS. Are they sure? Twins. TWINS?! What? 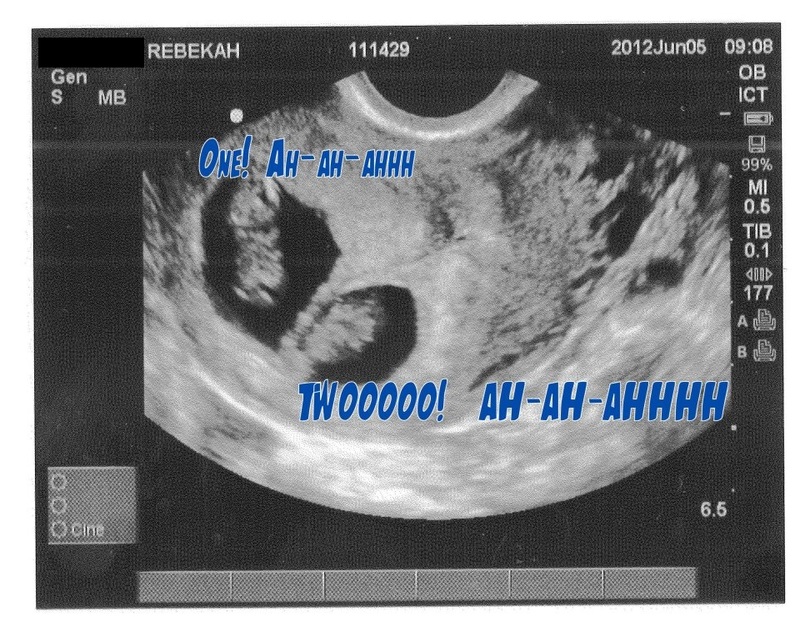 Posted on October 7, 2013, in Uncategorized and tagged freaking out, pregnancy, twins. Bookmark the permalink. Leave a comment.